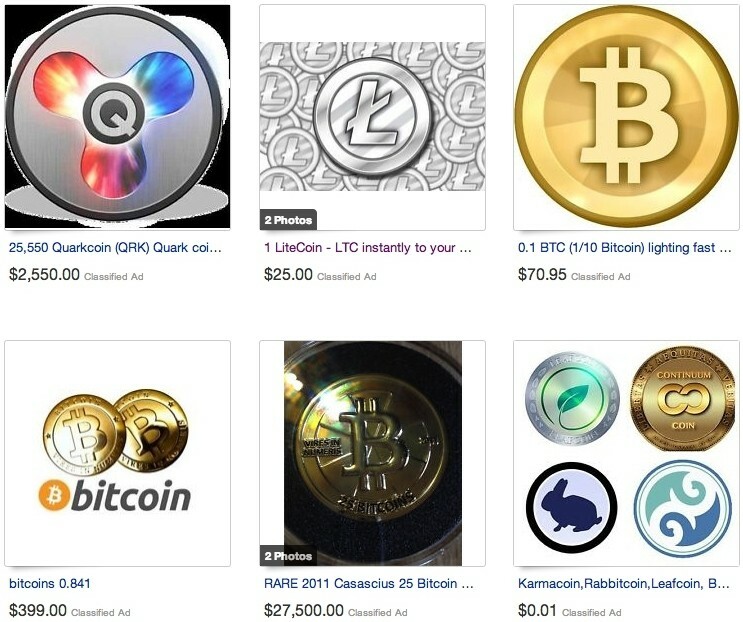 eBay has quietly added a new category that allows users to buy and sell items related to cryptocurrency including actual virtual currency, mining rigs and mining contracts. In a statement to TechCrunch on the matter, eBay said they updated their Currency Policy in February to promote a trustworthy marketplace and ensure compliance with applicable regulations. As such, listings for Bitcoins and other similar virtual currencies must be listed in the Virtual Currency Category in the Classified Ad format. True enough, a quick check of sold listings in the category reveals auctions dating back to mid-February. It is good news for virtual currency enthusiasts as any recognition of it being actual currency can’t hurt. Even still, however, eBay isn’t accepting Bitcoin as a form of payment. Whether or not that will ultimately change remains to be seen but considering eBay is the parent company of PayPal, it likely isn’t in the cards. Given the nature of virtual coins, it’ll be interesting to see how this plays out over the long term. Because the listings are of the classified ad type, eBay isn’t actually overseeing the transaction. That means buyers and sellers will need to arrange their own payments and transfer of goods on their own. Or in other words, it is eBay’s way of not having to deal with the potential customer service / returns / complaint nightmare associated with the sale of virtual currencies online.